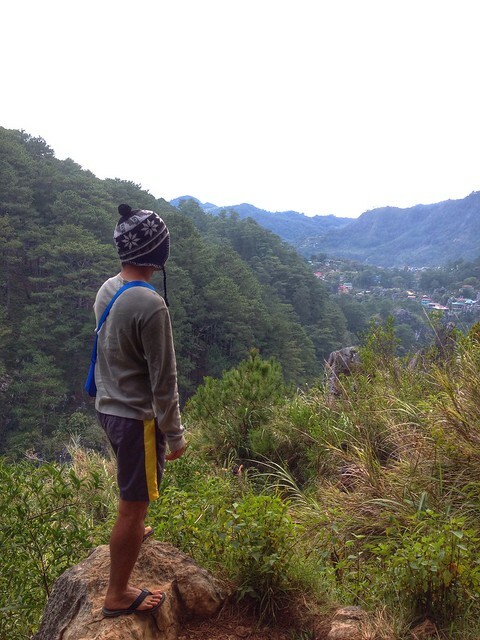 One of the best Christmas outing, I‘ve spent was Exploring Sagada, Mountain Province. 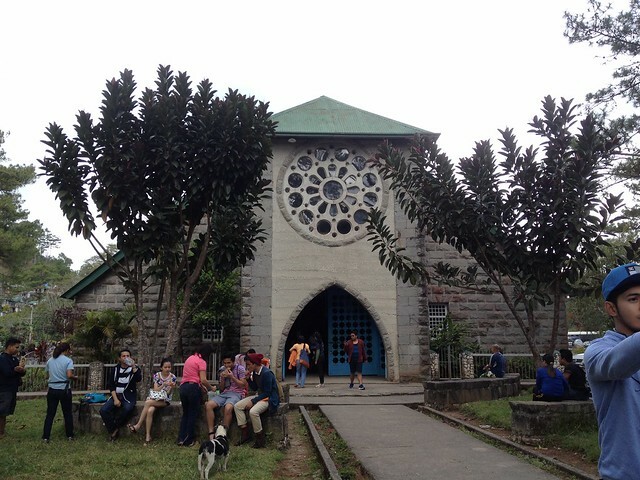 It is theprincipal home of the Igorot. 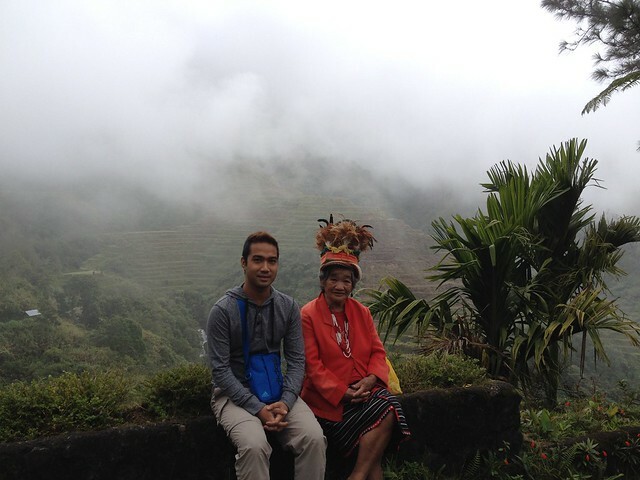 In the midst of our travel our guide says Igorot means ‘I am from the mountain’ There is no direct travel from Manila to Sagada but the good thing is you get to pass by Banaue like what we did with our friends from Travel Tipid. Consisting one of the five municipalities of the province of Mountain Province in the Philippines, Sagada is probably most famous for its well-preserved beauty, rich culture, and the warmth of hospitality of its people – the Igorots. Its inhabitants, the Igorots, which, with Igorot dictionary comes from the word “guilt” meaning “mountain,” are actually subdivided into six ethno-linguistic groups, namely: Ifugao, Apayao / Isneg, Kankana-ey, Ibaloy, Bontoc, and Kalinga. For the people outside of the region, the Igorots’ culture, dance, songs, and folktales are but some of the best reasons why people visit the Cordillera region, especially Sagada. Estimated to be at an approximately 5,000 feet above sea level, Sagada can be described as a remote town situated in the Cordillera region on the northern part of Luzon. If you are coming from Manila, you may need to travel 275 kilometers north to get to the mountainous region of Mountain Province where the town of Sagada is placed. Unlike the views coming from the city and as expected from the mountainous terrains of the region, Sagada is a scenic picture of mother nature preserved of its beauty as characterized by the lush green mixture of plants and trees and the natural formations of the rocky structures of the mountains. This is not to mention the man-made structure of the Banaue Rice Terraces that is viewable from the place at the right spot. Sagada has lesser tourists but still retains the same feeling as Baguio’s both in view and ambience. In part of being so, people who visited Sagada liked the place for being a laid-back and relaxing which makes it a good retreat from the busy life in the metro. A perfect destination for loved ones, families, and barkadas. 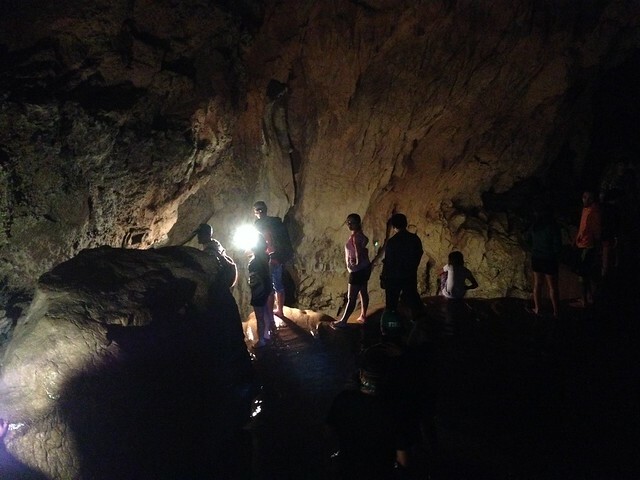 Caving is one of the best activity to do in Sagada. During our trip we went Spelunking at the Sumaguing caves. It was not an easy trek but as you go deeper you feel a bit scary. After you get used to it you feel the difference, it’s truly rewarding. The Sagada tour probably is most famous for its drop-by at the Bomod-ok Falls which is said to be Sagada’s most visited tourist attraction by both locals and foreigns alike. Its breath-taking view that is as a result of mother nature’s own formations is enough to capture the heart of its trekkers which, in part, makes the place so famous. 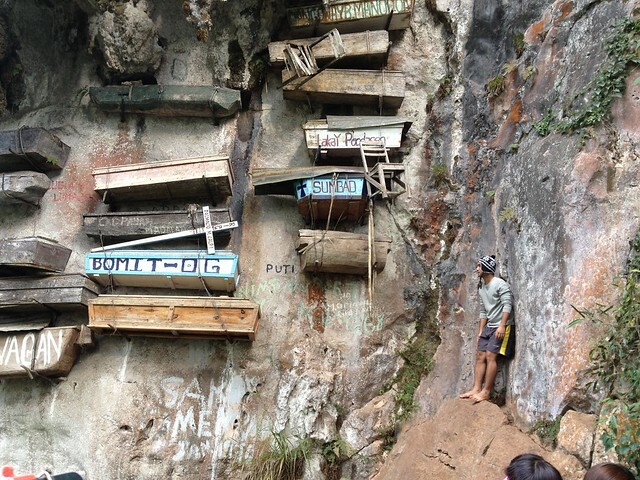 No turista of Sagada goes to the area without taking a peek at its famous Hanging Coffins. 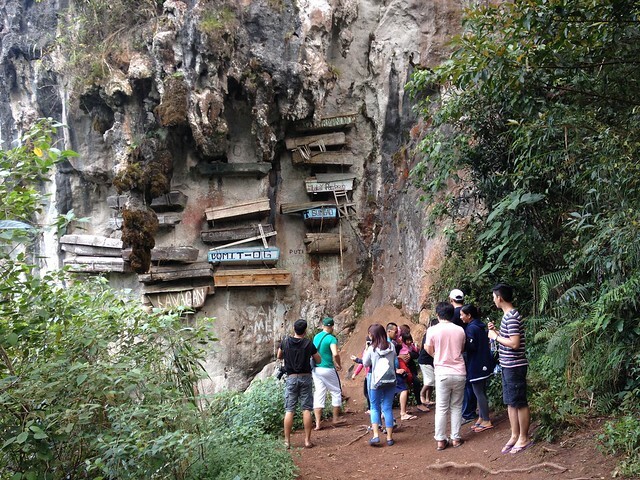 Traditionally a practice used by the inhabitants of Sagada to “bury” their departed by hanging their coffins on cliffs, it is still as utilized by the people of Sagada to this day. However, turistas and travellers must first get to the famous Echo Valley to view the hanging coffins. 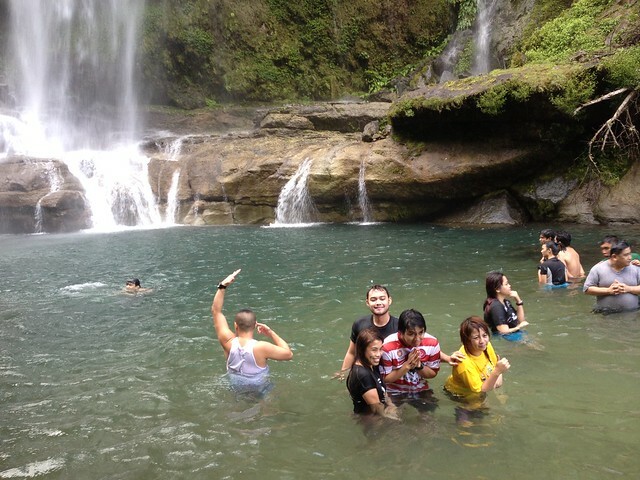 Luckily, no Sagada trekking package exists with Echo Valley destination not being part of it. 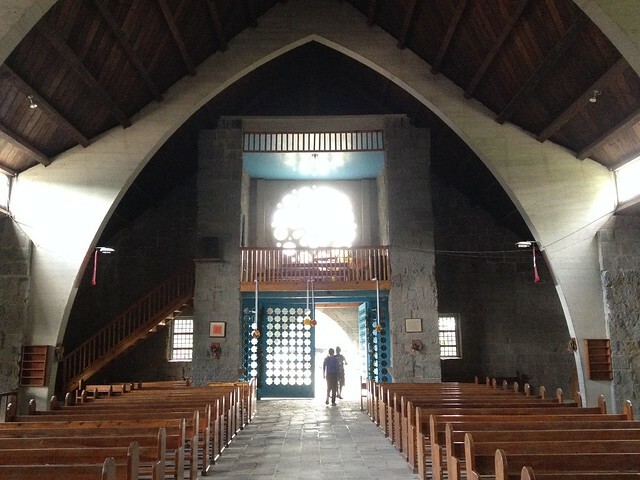 But for people who wanted to view something artistic and with architectural value in history opt for the The Episcopal Church of Saint Mary the Virgin. Said to be as a result of the merging between religions of Christianity and paganism, the very architecture of the building is the testament to it as described by some but is more notable for its art. Wow, that’s an awesome view on top of the mountain. I’ve often heard about Sagada but it’s actually my first time to learn more about it. Is the Sumaguing cave all-natural and not man-made? The Sumaging cave is all natural but it has man made stairs. Awesome post! This seems like a very wonderful place that i’d love to visit one day! I love your pictures, they’re so pretty! The hanging coffins are so interesting, we have a similar area in Indonesia, in Tana Toraja to be precise-it’s both similar but very different at the same time. Cultures really fascinates me! Yes Mindy I so love the hanging coffins. It was so Amazing. I agree with you that culture really fascinates a person. Thanks for your kind words. I reminisced the days i went to Sagada cave. I was 12 years old and not sure if there’s age restriction to enter that cave. I was forced to climb and thread across a sink hole pool despite of I don’t know how to swim. But the experience is very rewarding. The cave’s natural formation is very great. Not just that, I conquered my fear and learn how to be prudent on venturing the unknown. oh how i love this post of you! 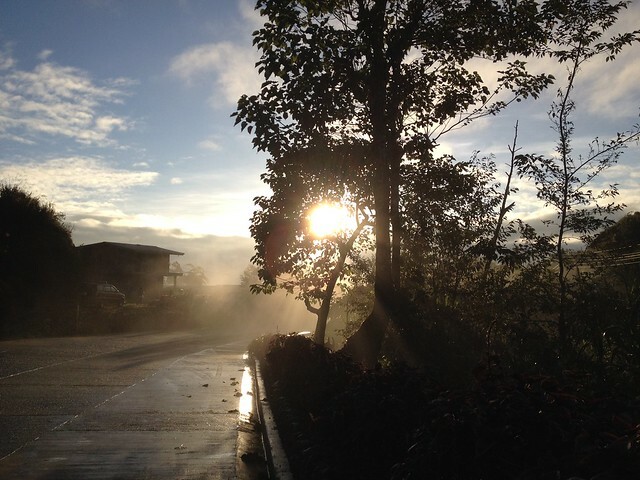 i’ve been longing to go to sagada, how i wish i can go there soon!!! it’s such a nice place , very relaxing! I’ve always been in Baguio ever since I was 3 y/o but never Sagada. I’m so excited to visit it for the first time this Summer! I haven’t been to Sagada and this makes me want to visit Sagade even more. 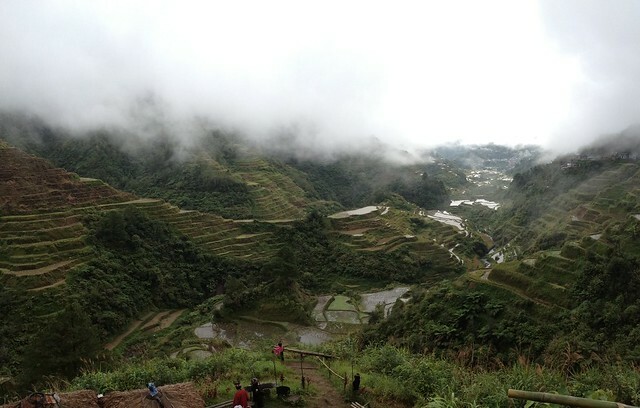 I’ve always wanted to go to Sagada and see the beautiful Rice Terraces in person. Wonderful Pictures you got there.